Metro and our partners at the St. Clair County Transit District are working to extend the bike trail network serving St. Clair County, Illinois, providing additional multi-modal options. Thanks to funding from St. Clair County Transit District and federal funds, a new leg of the bike trail will be constructed to extend the trail that currently goes from SWIC to the Belleville MetroLink Station. The new segment will extend to Swansea, and there is a proposed future extension that would take the bike trail all the way to Memorial Hospital Station. At the same time, the Village of Swansea is adding its own northern extension route that will connect up at the MetroLink station. 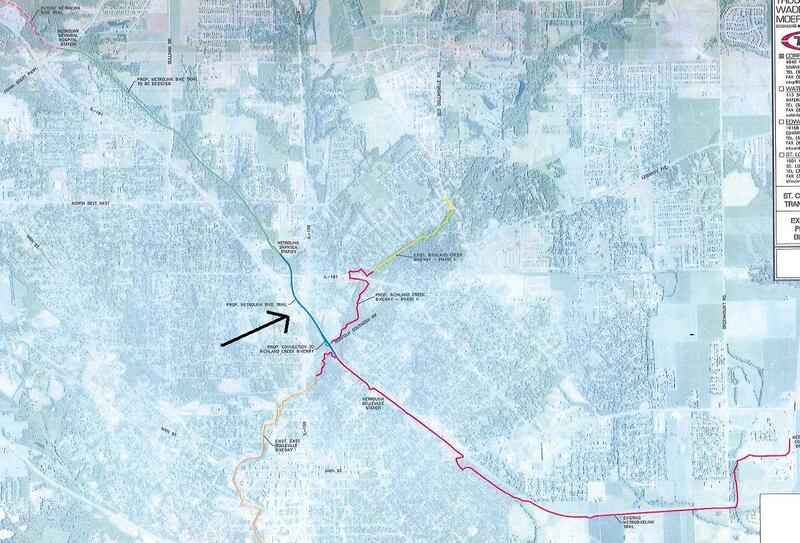 This project will not only create a grade-separated bike trail that parallels MetroLink, but will also fix some slope stability and drainage problems to protect the MetroLink alignment from creek scouring and erosion. It will also provide a safe egress for train evacuation if there were ever an emergency on MetroLink. And finally, having the trail in place will make it easier for Metro’s maintenance vehicles to reach the tracks if there is a need for maintenance. The Notice to Proceed on this project was issued in June 2010, and it will be completed within one year. I’ve biked to Shrewsbury and used MetroLink to get back home. I’m planning on biking to North Hanley and riding MetroLink back home later this month. Any idea when will I be able to safely make the same trip out to SWIC (from CWE)? Awesome! I use the trail from B’ville to SWIC all of the time. Can’t wait until we can take it all the way across the river to STL! 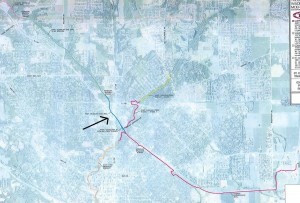 IL-159 has been a big hurdle to extending the bike trail East. This will be a great addition. Does anyone know if the work along the MetroLink tracks between Memorial Hospital and Fairview Heights stations has anything to do with future trail extensions in that area? I use the Metro train and a bike every day to get to work in Creve Coeur… coming from Belleville. I’d LOVE to be able to make the entire trip home by bike! (did manage to do it once through Cahokia, but it was 10 miles longer than it needed to be).